EPD designers have the cutting-edge knowledge necessary to develop doors for unique aerospace applications. EPD’s comprehensive product line of doors can be designed and manufactured to meet the diverse needs of the aerospace industry, including specialized sealing systems for clean room facilities. No other industry has experienced the scrutiny over security measures than that of the airline industry. Doors can be one of the weakest links in security at an airport facility. EPD’s reputation for strong and durable products makes using doors from EPD a logical choice to fulfill door related security issues. 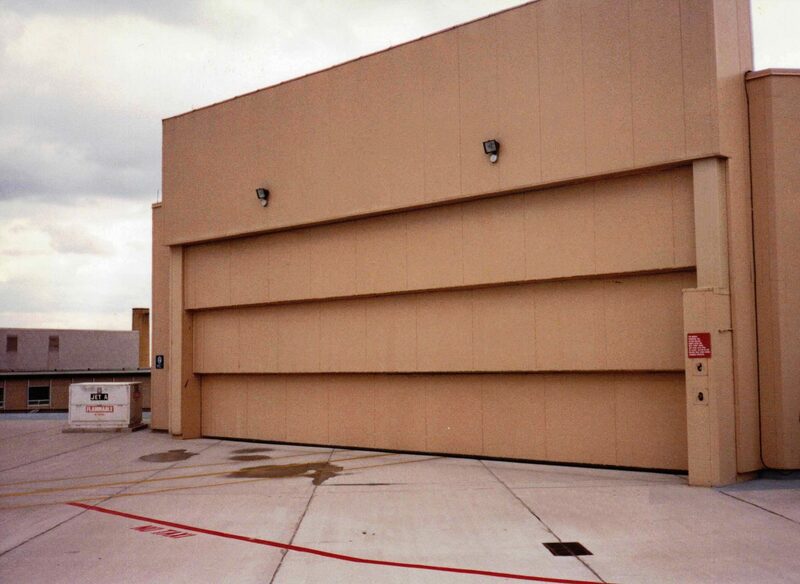 EPD doors can be designed to resist the high wind loads that often are experienced at airports. 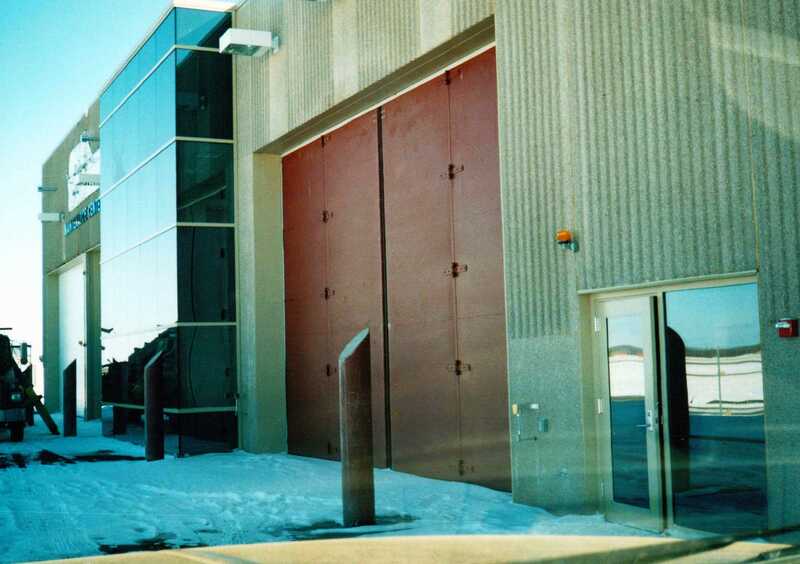 In the case of natural disasters such as hurricanes or earthquakes, EPD doors have a much higher drift tolerance than other door types and will continue to operate long after other door types would be bound up and unmovable. During power outages, EPD doors can be opened manually within seconds without the use of tools. The doors can be insulated and tightly sealed for energy conservation. The heavy duty, EPD doors will absorb vehicle impact and take abuse. 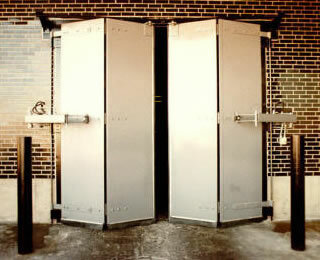 Door systems are fabricated from heavy gauge American Made structural steel. 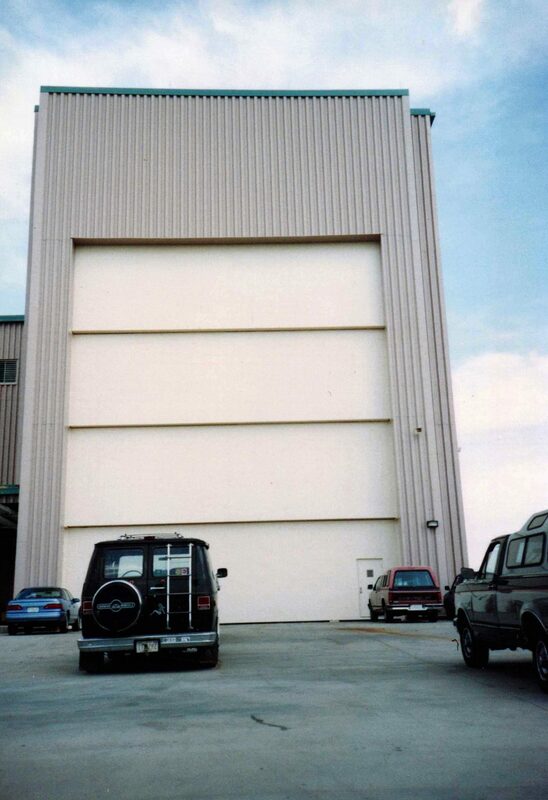 Vertical Lift with Mandoor Cape Canaveral FL. 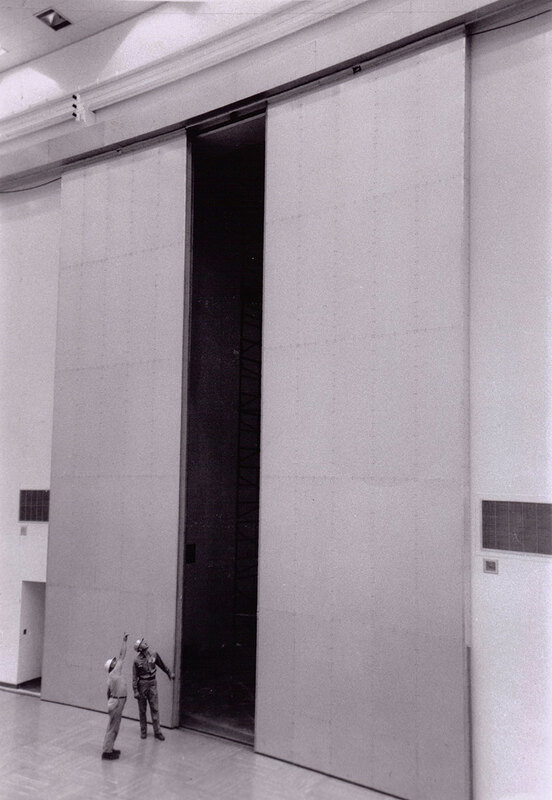 Top Hung Sliding 2-Leaf Bi Parting NASA Kennedy Space Center. Four Fold Model 46 SRE Facility Duluth MN.